How do I integrate such integrals with constant numerator and denominator without square root? 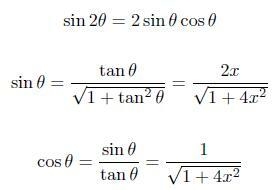 This integral does not have a square root but falls into the third case of trigonometric substitution. Look it up here: Trigonometric Substitution. Wonderfully explained. Worth sharing in coaching classes.